MAKAPU'U SCRAMBLE - Hawaiian Trail & Mountain Corp.
A scenic route takes us to the lighthouse viewpoint where we may see a whale or two. For the adventurous, there’s an optional scramble down a fisherman’s trail to the rock shelf and tide pools at the ocean’s edge (use caution in high surf conditions). A $3 donation is requested for each non-member, age 18 or over. The directions to the trail head in the schedule (PDF file or print out) are NOT correct. 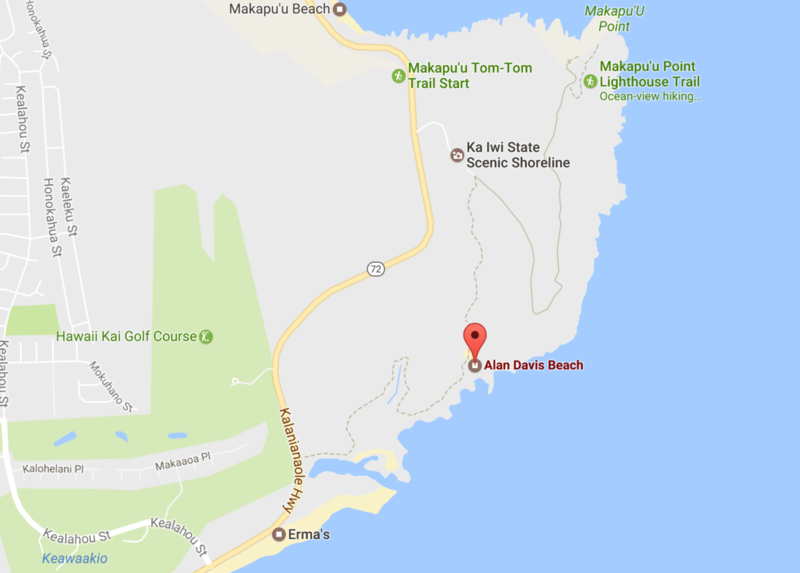 We will meet at Alan Davis Beach instead. To get there, coming from town, pass Sandy Beach and pass the traffic light where Kealahou St. comes out of the Queens Gate subdivision. (p. 20, Bryans Sectional Maps) Just as the Hwy turns inland, there is a stop sign on a short road coming up from the beach. Turn right here. Slowly – the pavement ends immediately. Park against the berm or wherever there is room, leaving space for other cars, and don’t block anyone’s exit. The terrain is rough, but standard sedans can manage if you drive slowly and carefully.